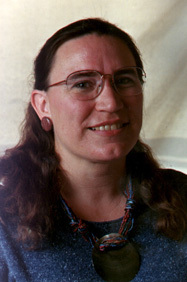 Lois Richter is an Internet teacher and Web Design consultant in Davis, California. She was a founding mother of Mother.com, one of California's first commercial ISPs -- which has since been bought out and is now known as Cal.net. She was teaching Internet classes before the World Wide Web existed [anyone remember "gopher"?] and began making Web pages as soon as the technology became available. In 1980, Lois started her first company, "The Organizer", to help people keep the papers from taking over their lives. AATH's award-winning member PATTY WOOTEN was one of Lois' first clients and remains a good friend. In addition to her teaching schedule and web design clients, Lois keeps a home for her absentee husband (Jim Drummond), clerks for her church (Davis Friends Meeting), is a docent for the UCDavis Arboretum, and was instrumental in starting the Internet Users Group of Northern California. 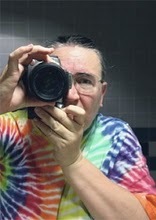 For fun she watches birds, takes photos, pets kittens, paints, and works on her family history projects. Lois can be reached at 530-902-0209 from 8:00am-8:pm, Pacific time  when she isn't out birding! Three cameras, an enthusiastic crew, and very intense directing conspired to create wonderful overlays and gliding images. This, my very first television project idea, was done with totally novice camera operators. I re-did the project three times before getting the look I wanted; so didn't finish it until a year after we started. Luckily, the dancer was willing to just keep coming back. If I did this piece today, it would be much easier. For one thing, I'd know how to do a lot more with after-the-shoot editing instead of putting so much pressure on exact camera timing and "live" switching. Plus the equipment now is much more flexible. This seven minute production won the 1993 WAVE Award for a short program by an individual. Public access TV competition among individuals in the Western US. I won with "Kathak" a short dance piece. Public access TV competition among individuals in Davis CA. I won for my series "Thoughtfulness". Public access station honored me for my show "Women Songwriters in Davis". Yolo County Fair (2003) Two blue ribbons and one red! "Yellowheaded Blackbird in Courtship Pose".